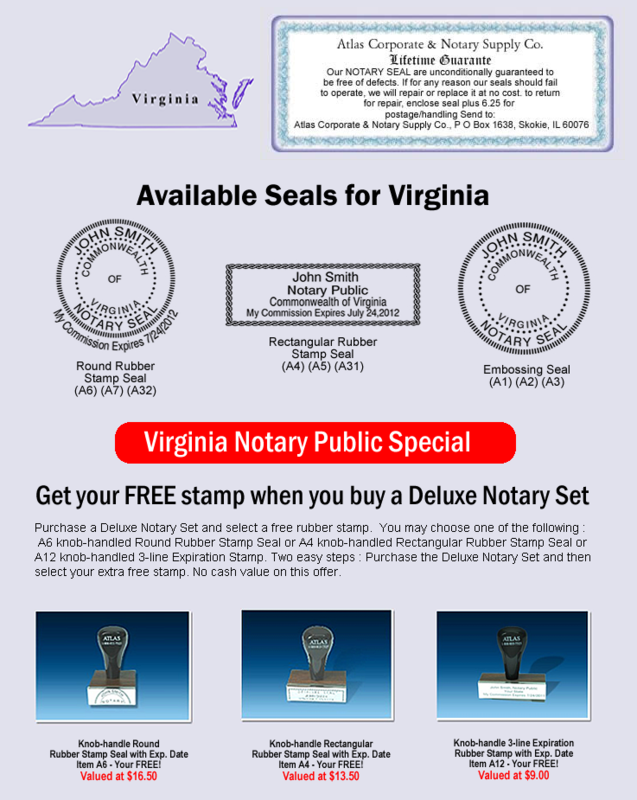 Are you looking for Virginia Notary Supplies, Seals, and Stamps? We have been supplying corporate and notary supplies across the United States for over 30 years. We supply quality products and stand by our products with a full guarantee. Please browse our website and order your products online. You may also call us and order over the phone if you have any specific questions pertaining to your order. If you need a Virginia notary seal stamp, Virginia notary supplies, notary seals for Virginia, notary seal in Virginia, or any Virginia notary public supplies, simply click below to shop online now. Commonwealth of Virginia notary seals, contact Atlas Notary Seal today.